At Ocean Recovery, we want to help everyone overcome a drug or alcohol addiction. If you are someone you love is addicted to prescription drugs, we have numerous treatment options an array of talented, medically-trained staff to help you overcome your addiction. This is an important factor to address, as we all want to put a finger on where an addiction started. But, not everyone has the same purpose or reason for beginning an addiction. Most people don’t intend to get addicted to the drug or set out taking their prescription with any other benefits other than to treat pain or medical conditions. However, not many people understand how addicted even drugs prescribed by a doctor can be. Studies have found that 10 percent of people prescribed medication will become totally dependent on that drug. This is because it might help you to sleep better, feel less anxious or merely help you to feel more like you. At Ocean Recovery, we work tirelessly to understand where this addiction began. Even if it’s subconscious, many of us have some extent of emotional pain. Taking a prescribed drug can block out these negative emotions to help you feel happier and healthier. After regularly taking the drug, you might become dependent on it in the long term. Many prescription drugs create a feeling of happiness, relaxation, and euphoria. You might find that this state of being makes you function better or feel more relaxed to handle difficult tasks. There are many reasons why someone might become addicted to prescription drugs, and users take prescription medications in a manner which a doctor hasn’t authorised or advised. You may even go so far as to taking your friend’s prescription painkillers. There are many purposes of doing this, including injecting or snorting the drug to get a high. However, this behaviour can become seriously addictive and lead to negative health conditions. If you’re concerned that someone you love is taking illegal prescription drugs, there are many other signs and symptoms to become aware of, including the habits of consuming prescription drugs. For example, they may take regular trips to refill their prescription from physicians. They may claim to misplace their prescriptions to repeat another order. Another common indication of prescription drug addiction is consuming tablets faster than you’d anticipate, or perhaps they change their answer on their intake amounts. 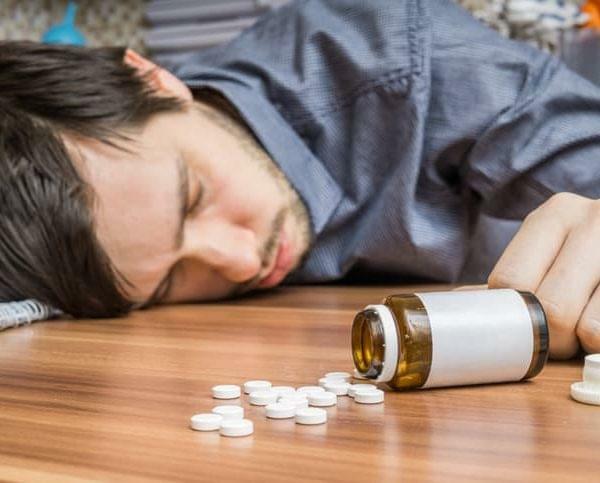 If you witness someone crushing or breaking pills, this is a common behaviour that they intend on sniffing the drug to create a feeling of being high. Also, be aware of the person’s Internet history as they could be making multiple orders to increase their dosage. More often than not, we’re finding that people misuse prescription drugs to mask emotional issues – particularly being upset or stressed and to treat anxiety. If this is the case, the main health implication is that you’re not aware of how to deal with your emotions, so living without these drugs becomes unimaginable. By abusing prescriptions drugs, you’ll likely encounter that this has a negative effect on your relationships, career, finances and mental wellbeing. You might feel hopeless, like there’s no way out of this addiction, but there is. At Ocean Recovery, we offer an array of treatment options which are unique to you and dedicated to aiding your recovery. There are numerous strategies to living a life of sobriety. First, we’ll need to fully comprehend your addiction – including when it started, why you take prescription drugs, your life away from drugs, and any underlying psychological implications. We’ll assess your history of drugs and evaluate your mental and physical wellbeing to see if there are any other issues which we need to address for a life of sobriety. A doctor will prescribe you with medication to address any withdrawal symptoms during the detox stage. This approach to your treatment will help to improve the success rate of your recovery and help you to feel more comfortable. Detox is classified as removing the toxins and chemicals from your body so you can begin recovery with a clean slate. Typically, prescription drugs fall into opioid pain killers, stimulants and depressants. Each of these drugs create a chemical imbalance in your brain which causes physical and psychological effects. When you completely stop taking a drug your body has become used to, you’ll experience withdrawal symptoms. These are typical side effects to expect from opioid which masks chronic pain, treats anxiety and creates a feeling of euphoria. Once you stop or reduce taking this drug, the brain’s neurotransmitters alter so your brain can’t function as it’s become used to. When detoxing from this prescription drug, it’s important you undergo professional rehab care where a medically trained individual can look out for any signs of vomit in your lungs, as this can cause you to choke or experience a lung infection. Taking prescribed medication to help with your withdrawal symptoms to block the brain’s receptors from receiving any more of the prescribed drug you took. You should never attempt to detox at home, unless you’re under medical supervision because the withdrawal symptoms can sometimes be life threatening. At Ocean Recovery, we don’t just focus on detoxing your body from the prescription drug, but also focus on other areas which need addressing – such as any emotions you might be suppressing. Prevention is better than cure, so don’t wait until it’s too late to seek medical treatment for prescription drug addiction. Give us a call on 01253 847 553 to discuss your options or for more information about the services we offer. Posted on Monday, April 1st, 2019 at 3:30 pm in Drugs, Latest News, Prescription Drugs.